There has been a lot of talk around the practice of 'mindfulness' in the media recently- there has even been an opera composed about it. It is something that I was introduced to by my singing teacher Anna Connolly years ago when I was suffering from performance anxiety. A man called Dr Russ Harris has many things to say about it, and some very interesting and helpful recordings as well. Essentially it is about being present in the moment (whatever that means for you) and not to judge yourself if your mind wanders off, or you have anxiety inducing thoughts. It is also there for you to be mindful of others- a very important and often neglected skill. Strange topic to bring up right? Well, these kinds of practice become more and more necessary the older we get- especially in the world of the performer. It is our job (and pleasure most of the time!) to leave ourselves behind and enter the stage as our character. When things are going well this task is the easiest, most enjoyable thing in the world. What happens then, when there are events in our personal lives that effect us? This is the difficult part of the job. It is not the publics responsibility or concern why we perform the way we do, all they know is the character on stage and how well it is sung/performed on any given night. How do we go on stage when we've just been given bad news- a death in the family, an illness? How do we perform a season of a show when we've just ended a relationship? How do we sing when we've had a flu for a month and can barely phonate? The answer is simple: we just do. It is then that the support network around us, and the mindfulness of others can mean he difference between making it onto the stage or not. The only thing I can encourage is for people to be mindful; of oneself and of one another. You can never truly know what people around you are going through... So I'm sending love and kindness to all around- those I know and those I don't. 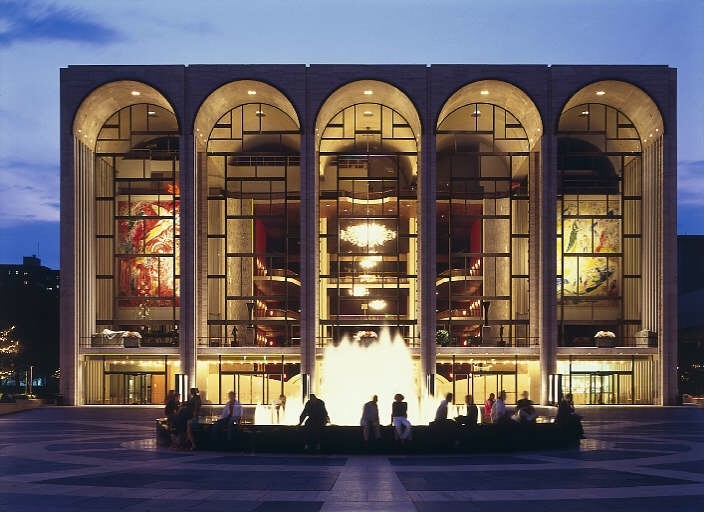 My operatic home for four months at the end of 2015! I saw some wonderful concerts at the Barbican- New York Phil with Joyce DiDonato (such a classy lady), a concert version of Petrushka by the New York Phil cleverly performed with puppetry, and ENO opera Between Two Worlds, which I found very thought provoking. I was on my way to Berlin, but not before two very exciting announcements. 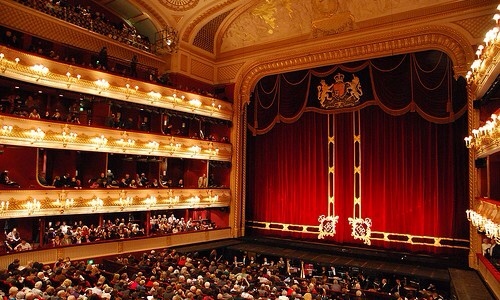 The first was the Royal Opera House season 2015/16 release, in which I'm so excited to be performing in two operas!! Micaela in Carmen- my Opera Australia debut- will now be my ROH debut, and one of my absolute favourite roles, Tatyana in Eugene Onegin. I was also thrilled to receive a green room award for leading female performer in opera for the role of Tatyana. It's wonderful when a role that is so close to your heart can be recognised. Speaking of Onegin, after a little stopover in London yesterday for the international opera awards, I am on my way back to Berlin to continue rehearsals ahead of the premiere next Thursday. The Deutsche Oper have really welcomed me and I cannot wait to perform this role in Berlin alongside an extremely talented cast! Spring in Berlin, lovely people, and one of my favourite roles- I'm definitely one of the lucky ones!! The life of a singer can be a very odd one. We meet new people all the time, often become quite close to them, and then move onto our next gigs. We make many sacrifices along the way; living away from home, family and leaving friends behind. Strangely this seems to make the opera world a very close knit one, as we learn to rely on this network of singers to keep us sane, help us with homesickness and provide us with friendship. These are people we make life long bonds with, and are always happy to see, even if it has been years since we last spoke. This is perhaps why I feel so moved by the plane crash in France a few days ago. I did not know the two singers Oleg Bryjak and Maria Radner or their families, but my heart goes out to everyone in the opera community who did know them, and to the friends and families left behind. It is a reminder of our own mortality- how often have we been on these planes, taking the earliest flight home after closing night so that we can be with family? How often have we said goodbye to loved ones for months on end, flying around the globe? It is a terrible tragedy, a reminder to cherish those close to you, and respect the people around you. A serious blog, I know, but as I prepare for another 2 months away from home, perhaps it is a timely one. So it seems that keeping up with a blog is harder than I thought! I'm going to try to catch up now- there has certainly been a lot going on! To start with I had a wonderful time over Christmas and New Year in Europe. A few fantastic auditions, catch up with friends and a concert in Duisburg was the best way to finish my 4 months overseas. I had a wonderful time performing with the Duisburger Philharmonic thanks to the lovely people from Neue Stimmen. A part of my award in the 2013 competition was to perform at a concert- I was lucky enough to be asked to be the soloist for their New Year's Day concert. I really enjoyed working with the orchestra and Meastro Bellincampi again (they played for the finals of Neue Stimmen) and it was a great chance to sing some new repertoire and old favourites! After such a long, but great trip, it was time to return to Sydney to begin Faust rehearsals. There is certainly no place like home!! The sunshine, friends and family were a welcome treat, and something I really appecite after long stints away from home. I think I'll write a separate post about Faust, because it has been a fantastic experience, but I have had a few exciting things happen since I came back home. Firstly, I was so happy to be able to announce my upcoming debut with the Berlin Deutsche Oper! They are such a lovely group of people, and I can't wait to perform Eugene Onegin again- what an amazing opera!! I have also been nominated for a Green Room award for my Tatyana in Melbourne in 2014. It is a show that is so close to my heart, so I am thrilled to have had such a positive response! Unfortunately I won't be able to be at the awards as I will be rehearsing Onegin in Berlin at the same time- maybe that's a good omen?! Lastly, I am delighted to be nominated in the Young Singers category for the International Opera Awards. What an honour! There are some fantastic singers nominated, and I'll be at the awards ceremony at the end of April- hopefully I'll meet some of my favourites!! Enough for now, thanks for reading! Well, clearly having good intentions won't write a blog for you! I can't believe I haven't written since Chicago, it has been busy! I have been in New York, London, Paris, Berlin, Vienna and I'm currently on my way to Salzburg! Let's start with New York- it's a city I love dearly, and I always look forward to my visit there. Truly the city that never sleeps, I managed to pack an awful lot into two week! Four operas, two musicals and a play, all of which we're interesting in their own way, and some which I enjoyed a lot more than others. I also had the chance to work with some fantastic coaches and teachers. Once you start working full time it can be really difficult to find the time to work technically. My two weeks in New York were a great chance to check in with how my voice is developing and what I should be doing over the next very busy 18 months. One of the highlights in New York was my first thanksgiving. The generosity of colleagues astounds me sometimes. We were invited into the home of an Australian expat, who spends a lot of his time singing in America. The warmth and kindness from all there, not to mention fun, of this holiday was simply beautiful. And very welcome after being away from home for a while! I think I might adopt thanksgiving! From New York I ventured to London. It is another city I am becoming more familiar with, and enjoy more and more each time I visit! I was also very excited to see great friends and coaches there. I love the international Australian music network- you can never feel lonely for long! So as I settle into my new hotel- Salzburg this time, I'll sign off for now and enjoy the view! Perhaps a combined retrospective of the Christmas markets next time? Berlin, Vienna and Salzburg, I have seen many already! It's snowing outside today- so what better time to write a blog?! After such a fun and successful season in Dallas, it was hard to leave. It was especially difficult to say goodbye to lovely new friends. I think that might be the hardest part of the job! I'm in Chicago right now, a beautiful, if cold, city! I was lucky enough to see Il Trovatore at the Lyric Theatre last night- I don't think I could ever get sick of that music. The theatre itself is full of character. You'd be hard pressed to find a better preserved Art Deco theatre. It was so lovely to catch up with Michael Black also. He is the current chorus master here in Chicago (lucky them! ), and I love having the chance to catch up with friends around the world- even though I don't enjoy having to say goodbye! So Chicago for a few mor days, and then off to New York. One of the cities of my heart, I cannot wait to return. But for now it's off to brave the cold and explore Chicago a little more! It's been a very eventful few weeks here in Dallas. I've met some really lovely new people, and I'm really enjoying rehearsals for Figaro. What a privilege it is to sing this amazing music! I haven't had a lot of time, but I've been trying to explore Dallas. I have felt so welcomed by everyone- southern hospitality is alive and well! The Texas state fair is on at the moment, I really hope we have a chance to go. Apparently everything is fried (sushi or beer fried anyone?!) and there is a different butter sculpture every year. Also, according to my Dallas natives, a cornydog is a must try. So much food! Ten days now until we move out of the rehearsal room and into the theatre- I can't wait! After a very exciting year here in Australia, I'm over the moon to be heading off to the US for my debut there! It is such a joy to be singing the Contessa in Le Nozze Di Figaro- new role, new opera house, new colleagues! Fun times!! I'm really excited to launch my new website! Please check in to see what I've been working on or find out what's coming up next. Check out my new website and feel free to leave comments. I look forward to seeing you all when I'm next on the Opera House stage.